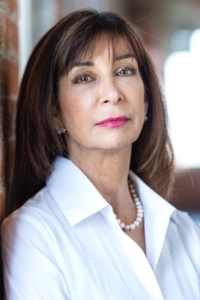 Our firm’s president, Lili Vasileff, is a nationally recognized expert in the financial planning for wealth protection as a practitioner, leader, author, writer, and speaker. She is sought after for her seasoned experience and deep knowledge about complicated financial issues in wealth management and is called into cases that have national recognition. She is one of the distinguished trailblazers of divorce financial planning who has been a catalyst in developing a professional niche that has led to an international movement and thousands of practitioners today. Lili serves as President Emeritus of the Board of Directors of the national Association of Divorce Financial Planners and holds active memberships with the Financial Planning Association, the Connecticut Council of Non-Adversarial Divorce (CCND), CT Bar Association, New Haven County Bar Association, Fairfield County Bar Association, New York Association of Collaborative Professionals, Collaborative Divorce Team of Connecticut, Institute of Divorce Financial Analysts, and International Academy of Collaborative Professionals. She is also a founding member of the Collaborative Divorce Team of CT, and currently serves as the Chair of the Finance Subcommittee of the New York County Law Association’s Family Law and Child Welfare Committee.